Hardcover, 4.5 x 7.75 in. / 480 pgs / 400 color. Edited by Lawrence Kardish. 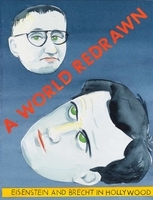 Essays by Bernard Chadère, Jacques Demeure, Michel Subiela, Paul-Louis Thirard, Roger Tailleur, Ado Kyrou, Bernard Pingaud, Bertrand Tavernier, Jean-Paul Tàràk, Robert Benayoun, Louis Seguin, Michel Pèrez, Frédéric Vitoux, Lorenzo Codelli, Alain Garsautl, Jacques Goimard, Michel Sineux, Michael Henry, Gérard Legrand, Isabelle Jordan, Jacques Segond and Petr Kral. Introduction by Michel Ciment. 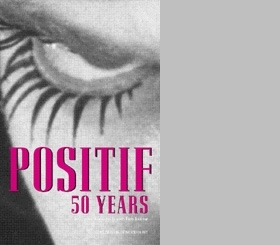 To celebrate the 50th Anniversary and the 500th issue of the French film journal Positif--voilá! 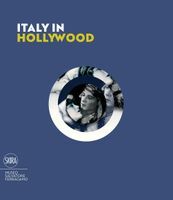 What could satisfy the cinephile more than an anthology, in English, of the very best Positif articles from the last five decades? 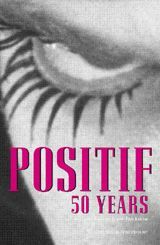 A preeminent film magazine since its inception, the monthly Positif has always been at the forefront of critical thought, discerning trends in cinema as they are happening. With over 40 articles covering some of the most notable films of the past 50 years, this compendium reveals how the magazine accomplished that very feat throughout its existence. Read Bernard ChardÀre on Luis Bunuel's Los Olvidados, Paul-Louis Thirard on Maurice Burnan, Robert Benayoun on Frederico Fellini, and other critics on flicks from The African Queen and Hiroshima mon Amour to Reservoir Dogs and Fanny and Alexander. 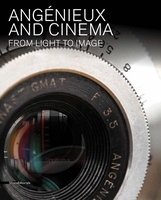 With an introduction by Michel Ciment, the editor of the magazine, and articles by distinguished critics and practitioners, this compilation pays tribute to both the importance of films and the lasting value of Positif. FORMAT: Hbk, 4.5 x 7.75 in. / 480 pgs / 400 color.